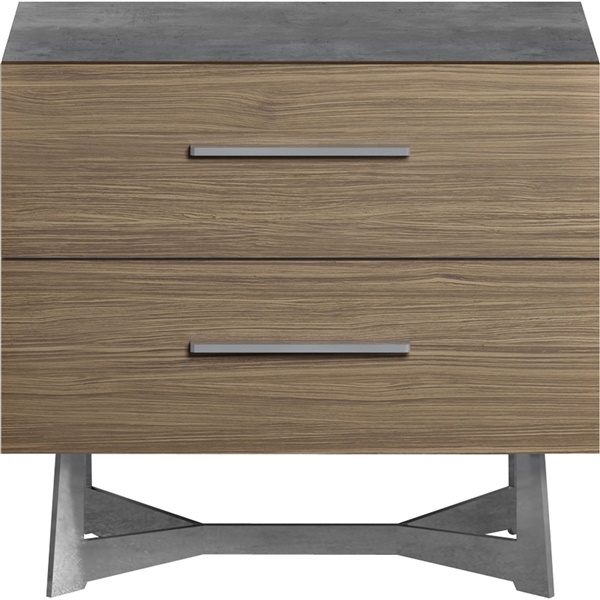 The Broome Nightstand from Modloft boasts stunning features that make it a great selection for any contemporary bedroom. This superbly constructed nightstand features two spacious, fully extendable and self-closing drawers that are finished with a dazzling latte walnut veneer. Plus, the nightstand's top and sides are made of lightweight, distressed concrete, ensuring outstanding quality. Choose a world-class nightstand that will look and perform beautifully for years to come with the Broome Nightstand. 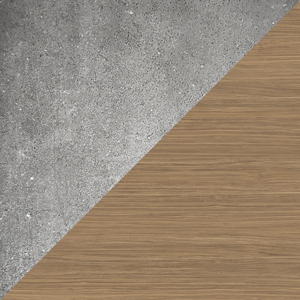 The nightstand's top and sides are made of lightweight, distressed concrete that ensures long-lasting quality. Includes steel drawer pulls that will sparkle day after day. Features two drawers that offer plenty of storage space and are finished with a latte walnut veneer. Brushed steel legs look and perform great consistently. Urban style makes the nightstand a wonderful choice in any contemporary bedroom.